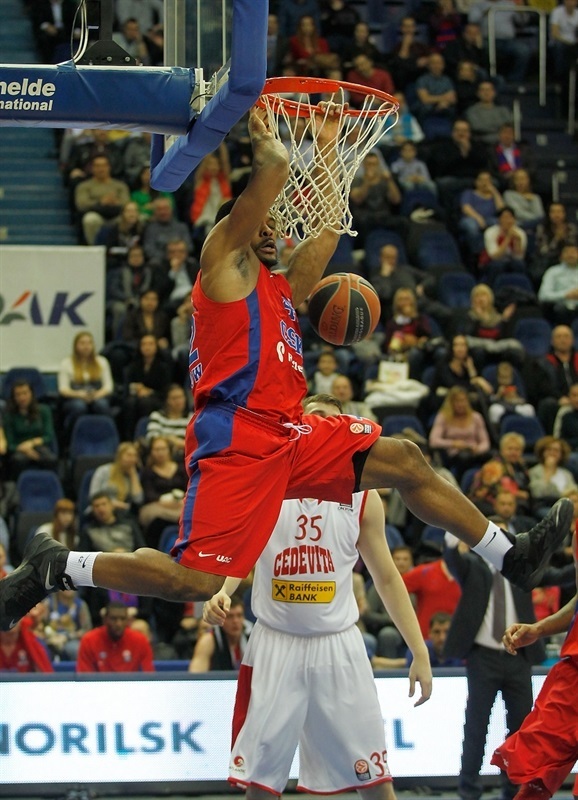 Six different CSKA Moscow players scored in double figures on Thursday night as the home side routed Cedevita Zagreb 97-79. CSKA, which had already clinched first place in Group B, become the first team to eight wins in the Turkish Airlines Euroleague this season. Cedevita dropped to 2-6, but remains alive in the race for a Top 16 berth. 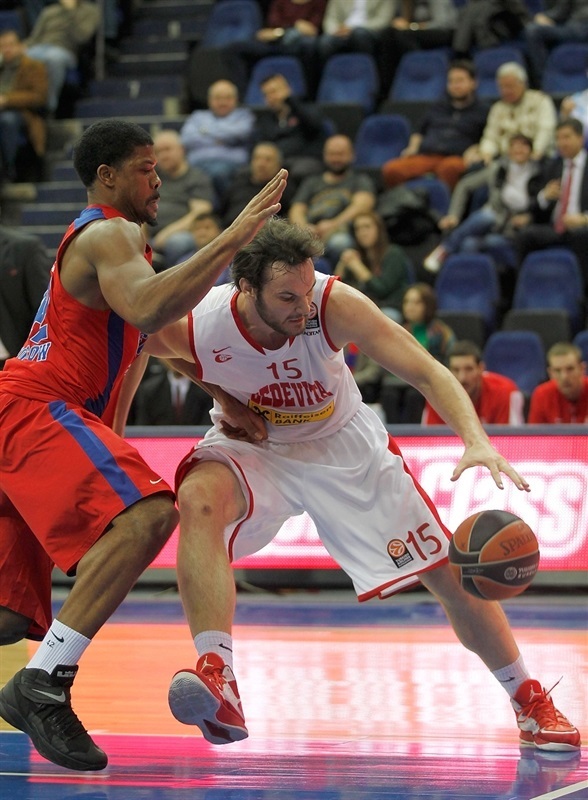 CSKA stormed in front early with 6 threes in the first quarter and 6 more in the second. A 14-0 second-quarter run took the margin firmly into the 20s as the tam raced to a 60-34 halftime lead, setting a club record for most points in one half in the process. 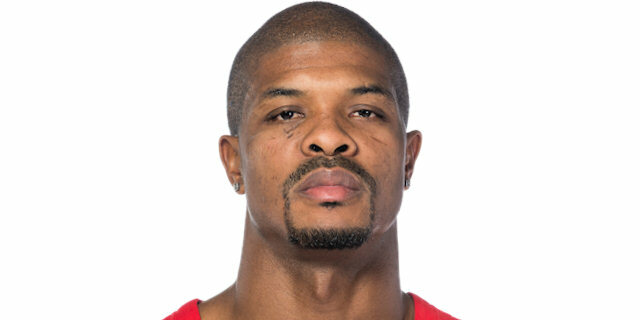 Even through the CSKA attack cooled off in the third quarter, Cedevita never got closer than 18 the rest of the way as CSKA cruised to a comfortable victory. 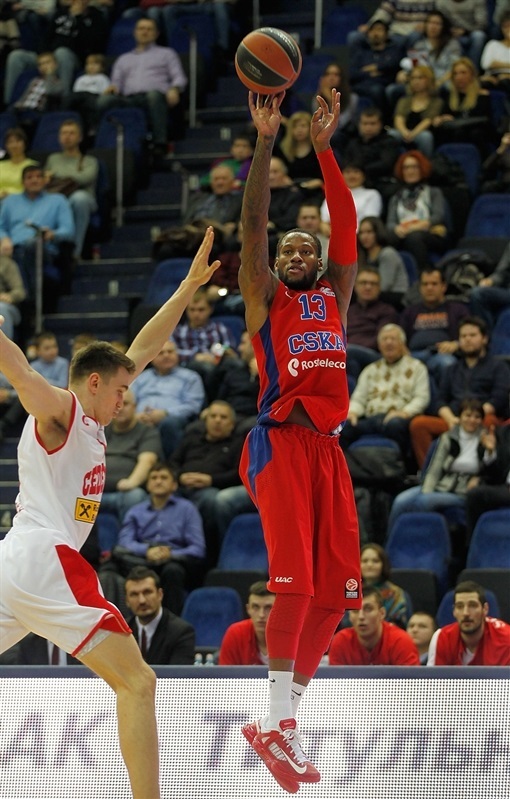 Sonny Weems tallied 14 points, 7 rebounds and 6 assists and Nando De Colo also scored 14 for the winners. Andrey Vorontsevich, Vitaly Fridzon and Sasha Kaun added 13 points apiece, while Kyle Hines netetd 12 and Aaron Jackson amassed 8 rebounds and 8 assists. Fran Pilepic made 5 of 7 threes to lead Cedevita with 23 points. Tomislav Zubcic added 14 points in defeat, Mario Delas scored 11 and Miro Bilan 10. 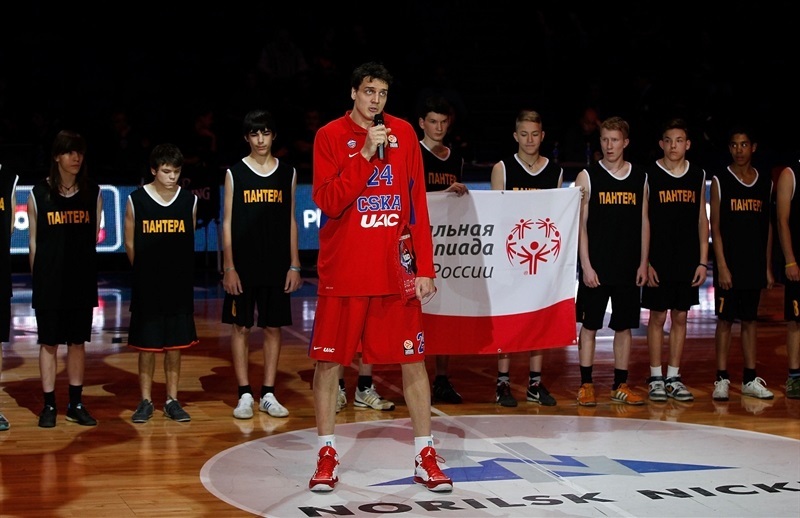 CSKA won the opening tip and went right to work with a Vorontsevich three-pointer. Mario Delas scored at the other end for Cedevita, but Fridzon added a jumper and Kaun netted free throws. A Fridzon three from the corner made it a 10-2 start in less than two minutes. Bilan got on the scoreboard for Cedevita before Vorontsevich and Mario Delas traded threes. Fridzon nailed a three from the opposite corner to make it 16-7. Kaun scored inside to give the hosts their first double-digit lead. Pilepic and Bilan started to get the Cedevita offense going, but 5 points from Weems kept the deficit in double figures. Kaun blocked Bilan at the rim and Vorontsevich connected on a second-chance triple to make it 26-11. Nemanja Gordic went hard to the basket for a layup in transition and Marko Arapovic beat the 24-scond clock with a reverse flip. Hines came in and his first touch was a slam and Weems added a pair of free throws. Luka Babic banked in a three in the final seconds of the quarter to make it 32-18. Zubcic made an immediate impact with a basket-plus-foul and a three-pointer, though Demetris Nichols hit a three for CSKA in between. 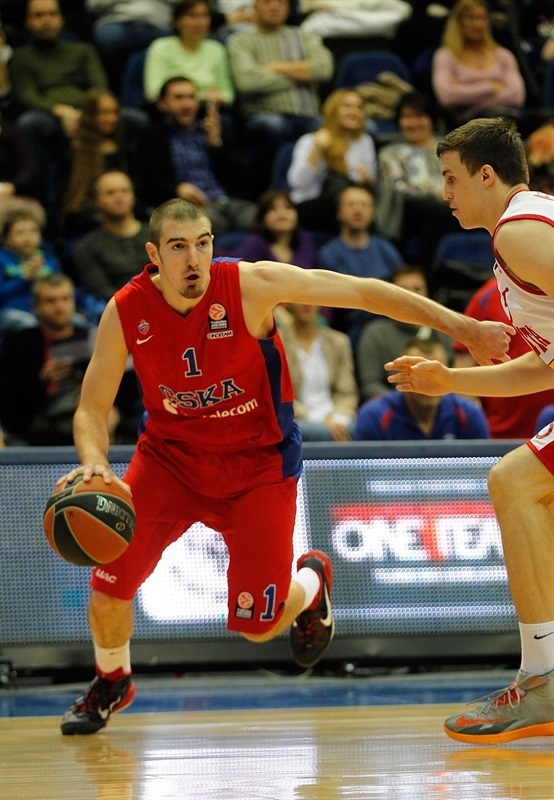 De Colo made his first jumper and Pavel Korobkov hit from downtown. De Colo added free throws and Hines dunked inside to cap a 9-0 run for a 44-24 lead. Mario Delas heated up with a pair of baskets for Cedevita before Gordic took a steal all the way for a slam. De Colo and Fridzon knocked down back-to-back threes, Hines scored with ease on the break and Weems drilled another triple to make it 55-30. Karlo Zganc missed twice from the line before Ivan Strebkov joined the three-point party to cap a 14-0 run. Pilepic free throws ended a four-minute scoring drought for Cedevita. A Roko Ukic jumper ended the half at 60-34. Mario Delas scored the first basket of the second half and Ukic soon added free throws. 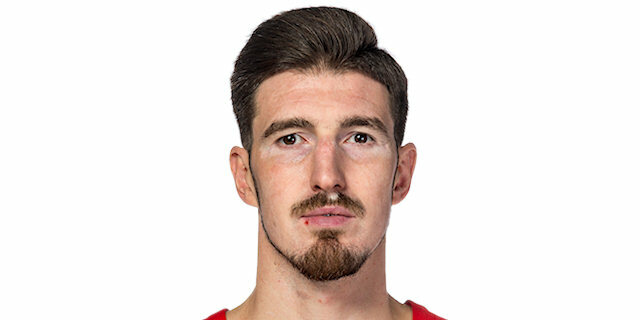 Bilan scored in the paint, but Mario Delas missed a perfect pass inside for an easy score. More than two and a half minutes passed before Vorontsevich opened CSKA’s second-half account with a jumper. But then De Colo drove for a reverse layup. Pilepic sank a three to make it 64-43. Jackson drained a floater for his first points. Zubcic scored 2 from the line as the visitors continued a strong quarter. Fridzon fed Kaun for a two-handed slam. Pilepic scored and Vorontsvich knocked an Arapovic pass into his own basket as the deficit closed to 68-49. Kaun free throws put the difference back into the 20s. 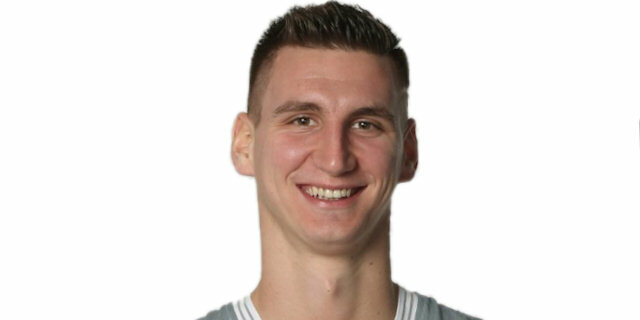 Luka Babic spotted an open Arapovic for a slam. After free throws on both ends, Hines fought for a ball from his knees and rose to put it in and end the quarter at 74-53. After a third quarter without any triples, De Colo opened the fourth with a three from the corner. Bilan hit free throws and Ante Delas a jumper before Zubcic scored inside to make it 77-59. After a timeout, CSKA’s passing improved as De Colo hit Hines for a layup. Weems added a long jumper. Hines fed Korobkov for a spectacular slam and Fridzon added free throws as the lead swelled to 85-61. Pilepic countered with a three and Gordic lifted a pass to Bilan for an alley-oop layup. Nichols connected on a three as did Pilepic. Teenager Anton Astapkovich came in with three minutes left as CSKA was able to celebrate early.
" Obviously, we have seen two different pictures today. 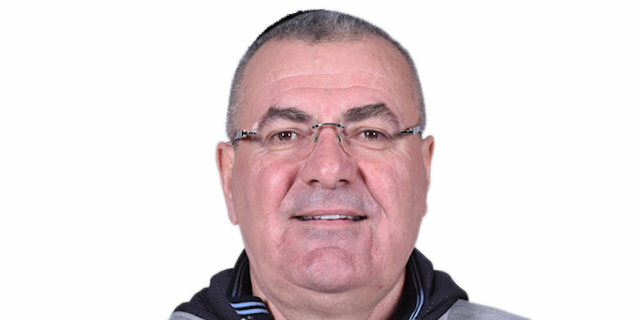 Of course, I congratulate my team with the victory and especially with the basketball shown in the first half. We truly dominated, we shared the ball, made 20 assists, shot almost perfect from beyond the arc. Overall we demonstrated good desire to satisfy the fans and ourselves. In the second half Cedevita started to play much better and put us in trouble sometimes. We received an important message and we know what to expect in the future. We played excellent basketball for 20 minutes, but the game lasts 40 minutes, and we have to work on it during the practices. I’d like to thank our fans again, they came in big numbers today, they were vocal and we felt their support." "Congratulations to the home team, they really deserved to win. They played much better than us, especially in the first 20 minutes, which were a disaster for us. We allowed 32 points in the first quarter, than we experienced the same in the second. CSKA shot great from three-point range, they dominated on rebounds, in all statistical categories. In the second half they played not so hard, but we also played better and lost by not so many points. Still I feel sorry for the way we looked before halftime." "I think we were focused from the beginning of the game, we played very good in the first half, we tried to play defense together and stop their aggressiveness. So on offense we needed to control everything and move the ball. They can play basketball very good, so they came back in the game a little bit. But we were focused, it helped us." "Of course we played excellent in the first half as a team. It was excellent defense and we made 12 three-point shots in the first half. I guess the biggest problem for us was showing the maturing of the team to play on a high level in the second half. I think it’s the point for us to work on throughout the rest of the season; to have a desire which will help us to continue playing well. " "We started the game really bad and soft. 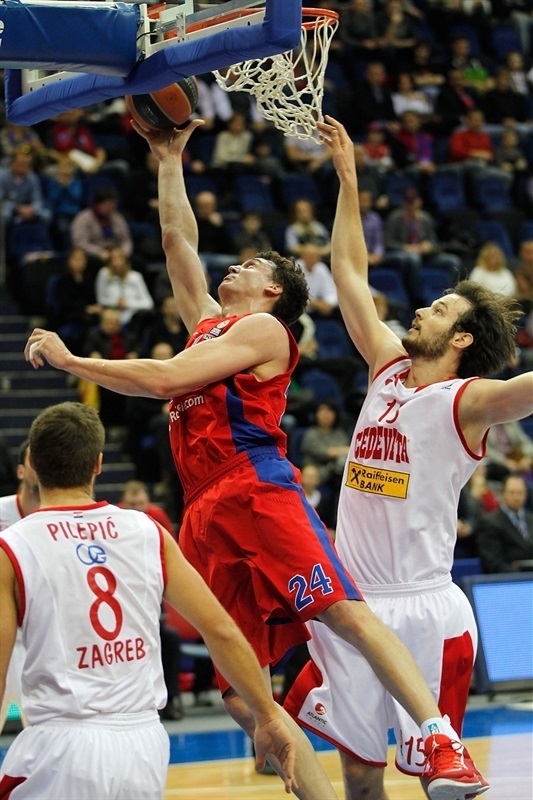 We allowed CSKA to get easy two-point shots, to play aggressive and they shot very good. We knew that they are the best team in our group so far. We were supposed to open the game much better. But we played a tough road game. So we expect to be better in the next few games. "